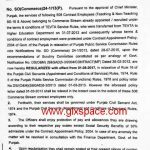 The Dunya News TV Channel says today on Friday 1st March 2013 that Chief Minster Punjab, Mian Shahbaz Sharif has announced the regularization of contract employees working in various Punjab Govt Department ranging from BPS-01 to 16. Shabaz Sharif said that there are about 100,000 employees in Punjab who are working on contract basis. All the employees appointed in this period of Govt and the previous governments will get the benefit of this regularization. The Notification in this regard has been issued on 01-03-2013. Dear Mehmood Akhtar, still no updates in this regard. Dear Sajid, I think surely as the same was announced by PMLN. 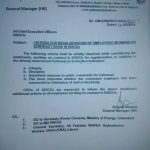 can ap tell k after election comission reply will these employess be made permanent yah npotification cancel ho ga????????????? Dear Aysha, Allah behtar karay ga. Just hope for the best and pray to Allah. what is the regularization of employees after notice of election commission??? can anybody have information about it??? ye paid staff ko permanent kyou nahi karty. Dear shumaila! 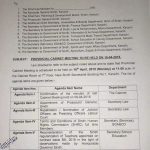 Ka education dept ki grade 16 emplyees ko bhi PPSC ka test dena hoga. 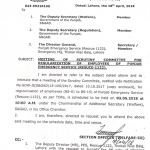 Hello respected mam, kindly tell that from which link I can read the full notification regarding BPS-16 or kindly do email me if you don't mind, please. Dear Asim, the full notification is present at the link present under the 1st page picture. plz ye btain k kia TEVTA k contract employees b permanent honge es main? Dear shumaila in the notification BS-1-15 are mentioned what about BS-16???? Dear Babar there are two Notifications. One is for BPS-01 to 15 and the other one is for BPS-16. Dear Shumaila, I am an employ in Punjab University on BS-16 during last 7-years. our admin office received just one notification for BS 1-to-15 but nothing any news for BS-16??? please can u tell me what about BS-16??? Dear Muneeba. 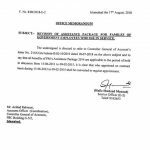 The same notification has been issued for BPS-16. I think they will have to appear in PPSC Exam. All the contractee appointed 2004 to present.Contact to me there is no need for ppsc exam, various 16 and 17 BPS. ye intrnsnship k kiye bhi ha?jo abhi hui thi?plz bata dain ya c.t.i k liye ha? Dear Rohan, just read the Notification. Dear Aamir just read the notification with Full detail. Dear Tanseer Raza the Notification has been issued. Congratulats to all contractual employees. tevta employees include in 100000 employees? plz shumaila jee thora detail batain?plzzzzzzzz,samjh nahi ai kuch. 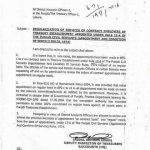 Dear Rohan, it will be finally clear when the Notification of the regularization of the Punjab Govt Contract Employees BPS-01 to 16 will be issued.